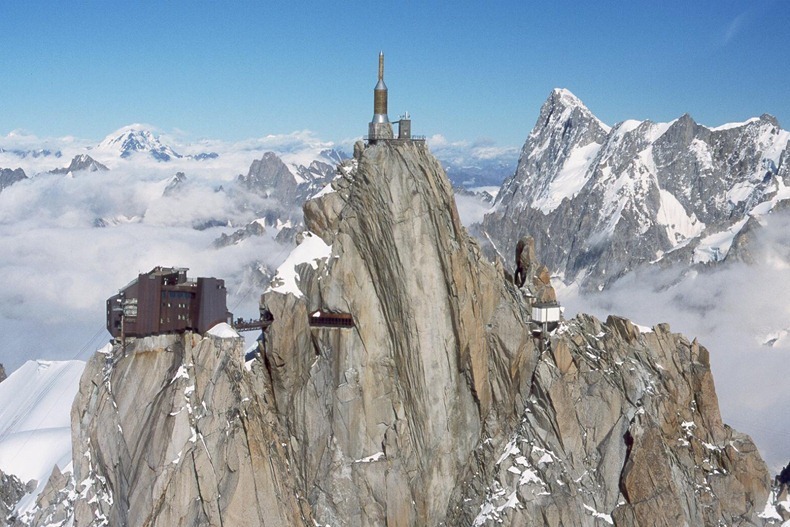 The Aiguille du Midi is a 3,842 meter tall mountain in the Mont Blanc massif in the French Alps. The name "Aiguille du Midi" translates literally to "Needle of the Noon" or "Needle of the Mid-day". The mountain gets its name from the fact that it lies to the south when viewed from in front of the church in Chamonix.